1. The support by representatives of the Moscow Patriarchate for the Kremlin’s aggression in Eastern Ukraine and the annexation of Crimea. The violation of the territorial integrity of Ukraine is contrary to all international law, in particular, the Budapest Memorandum of 1994 to which the Russian government was a signatory. We believe that as a Christian institution the Moscow Patriarchate is obliged to challenge the Russian government’s violent activity in Ukraine, activity that has led to the death of thousands of innocent civilians. 2. The Moscow Patriarchate’s promotion of the notion of a “Russian World” (Russkii Mir). This notion has provided an ideological foundation for the Russian government’s aggression in Ukraine. The idea of a “protectorate” to be exercised by Russia within Ukraine and other sovereign countries has hampered inter-ethnic harmony and understanding. It evokes the Russification policies of the USSR. 3. The Moscow Patriarchate’s continued misrepresentation of ecclesiastical events in Ukraine. Frequently, the free and legitimate desire of Christians in Ukraine to choose which Church they belong to, is portrayed by the Moscow Patriarchate as the run counter to the separation of church and state in Ukraine. In fact, it is the Moscow Patriarchate’s false or exaggerated accusations of violence that engender hostility among Christians who might otherwise resolve these issues of ecclesial allegiance with far less rancor. The Moscow Patriarchate should be apprised of the fact that in Ukraine her desire to maintain the kind of privileged status that it enjoyed under Communism is harmful to its own interests – not to mention the proclamation of the Gospel. 4. The Moscow Patriarchate’s claims against the Ukrainian Greek Catholic Church. Since the emergence of the Ukrainian Greek Catholic Church (UGCC) from the underground in 1989, the Moscow Patriarchate has consistently made mendacious accusations against the UGCC. These began with claims of “violent take-overs” of parishes in Western Ukraine and continued with false reports of proselytism, which have never been substantiated. Meanwhile, the parishes that chose to break with Moscow in the early 1990s were all parishes that had been part of the UGCC until 1946. In that year the Soviet government, with the complicity of representatives of the Moscow Patriarchate, forcibly liquidated the UGCC throughout the USSR. The unwillingness of the Moscow Patriarchate to honestly discuss these matters is another impediment to the healing of memories, promoted so eloquently by Saint John Paul II. Moreover, every time that the Moscow Patriarchate has been asked to provide a list of the victims of violence – with medical reports etc – it has failed to do so. 5. An unwillingness of institutions associated with the Moscow Patriarchate to publicly study the events of March, 1946 in an objective manner. Next month marks the 70th anniversary of the Pseudo-Synod of Lviv of 1946. It was at that gathering that the Soviet government declared the Ukrainian Greek Catholic Church illegal. This led to the forced deportation of tens of thousands of Catholics and the countless deaths of those who refused to leave the Catholic Church and join the Russian Orthodox Church. In view of the constant misrepresentation of these events by representatives of the Moscow Patriarchate, last year the Metropolitan Andrey Sheptytsky Institute of Eastern Christian Studies invited an academic institution with ties to the Moscow Patriarchate to cosponsor an international conference on the events of 1946. The conference would have provided an excellent opportunity for both sides to objectively and fairly study the facts. The request fell on deaf ears. Consequently, we ask His Holiness, Pope Francis to propose such a conference to Patriarch Kirill, and hereby assert our desire to cooperate in its realization. We believe that such a conference could foster the “Dialogue of Truth” suggested by the Balamand Statement of 1993. It would also provide an opportunity for Eastern Catholics and Eastern Orthodox, more specifically, Ukrainian Greek Catholics and Russian Orthodox, to move in the direction of a broader dialogue. 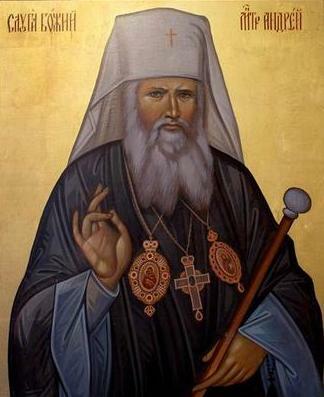 We hope that Patriarch Kirill’s willingness to overcome the reluctance to meet the Pope – a reluctance that has inevitably led to the perception that the Moscow Patriarchate fears the truth and avoids open dialogue – will also lead to a willingness to confront the issues listed above in a fair and truly Christian manner. The cause of the Gospel and the credibility of Christ’s Church can only benefit from such dialogue – if the dialogue is indeed sincere and open. It is reported that among the chief aims of the meeting of Pope Francis and Patriarch Kirill will be to discuss support for the persecuted Christians of the Middle East. The Metropolitan Andrey Sheptytsky Institute of Eastern Christian Studies is truly gratified to hear this. We believe that the suffering of our Christian brothers and sisters in the Middle East has been virtually ignored in some circles, including certain Western governments. In conclusion, we shall indeed be praying for God’s blessing on this historic meeting between the Pope and Patriarch. We ask that the Spirit of Truth guide all those involved in this meeting and those reporting on it. May that Heavenly King indeed come and dwell within us and purify all our intentions and actions (cf. Byzantine-Rite Prayer to the Holy Spirit).